I can't lie. I've been going a bit crazy buying garbs recently. Alas, I've had no time to blog about them! Zara has been on fireeee with their sale. Don't know about you guys but I've grabbed some incredible steals there over the past couple of weeks. These two Zara numbers here being my faves of the bunch. 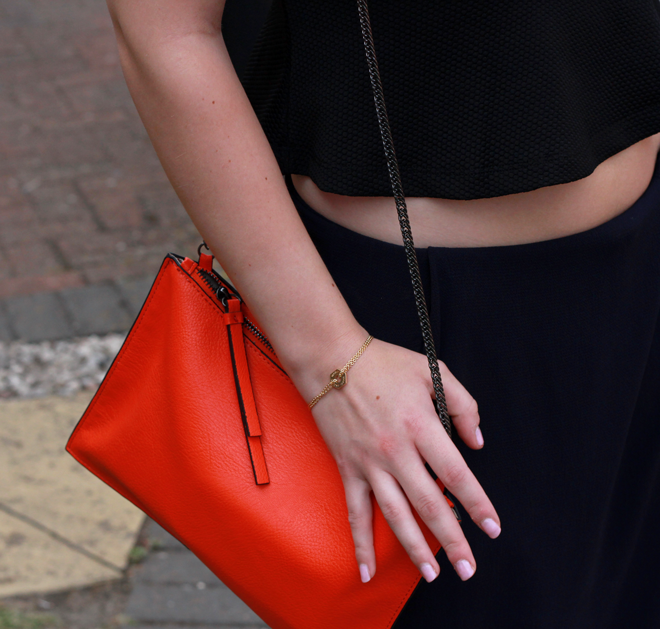 I love the combo of navy and orange too - hence showing off weird yet wonderful culottes and bold bag! What do you guys make of this cute little Marc by Marc Jacobs bracelet too? It's such a cute little piece - simple but it still stands out. It also became the perfect excuse to grab some Marc Jacobs sunnies on the weekend...! Oh how I love finding an excuse to buy new stuff. I got probelms.